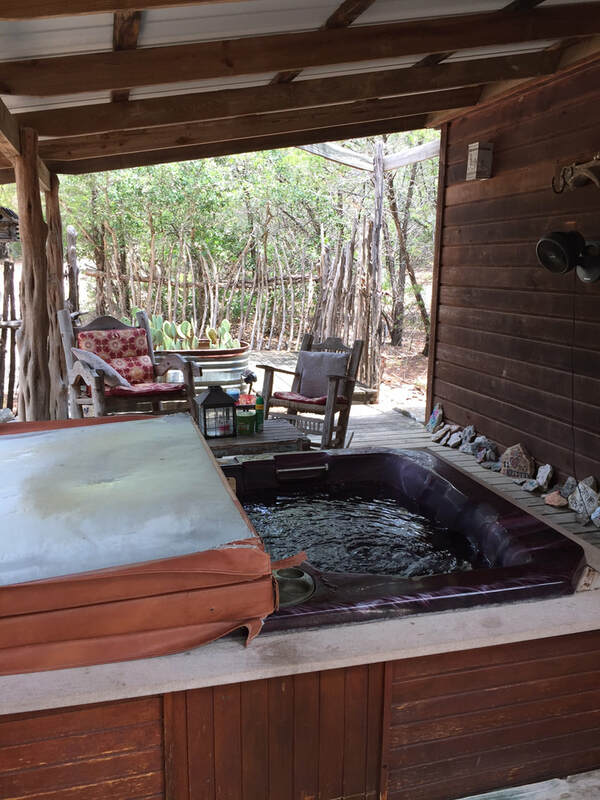 This two story cedar cabin is secluded by trees and a nice private deck with hot tub. The Taos is cedar outside with a Southwestern Decor inside with nice Original paintings, Indian woven baskets and Native American appointments. 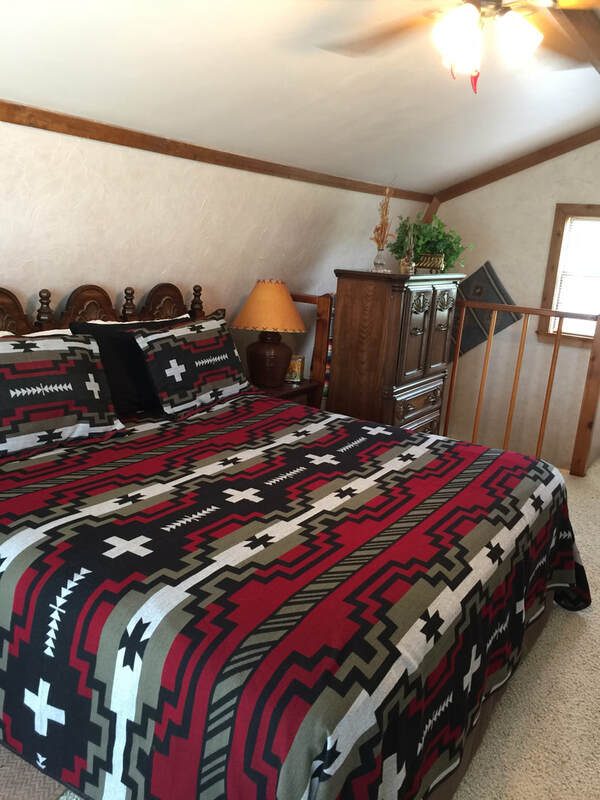 The bedroom upstairs has a king size bed with a nice private balcony for your viewing pleasure of the open skies and star gazing at night. 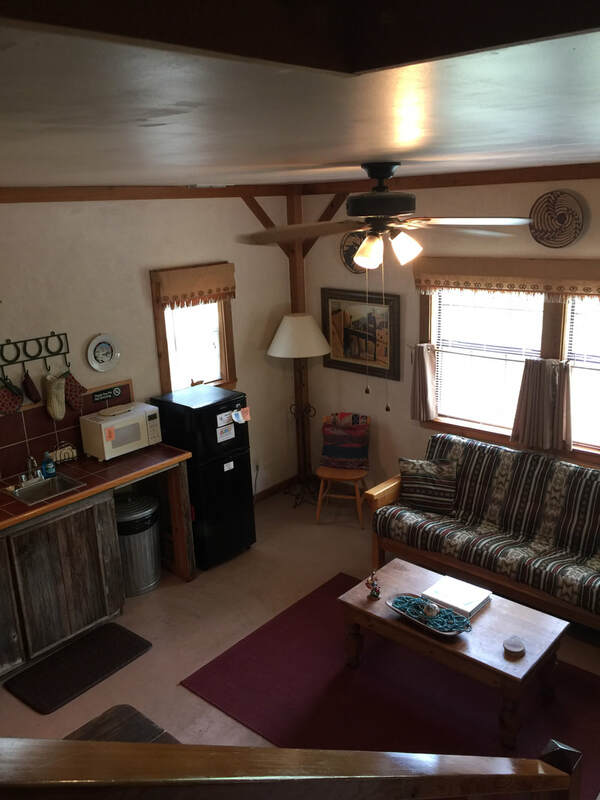 Downstairs is your kitchen with a medium size refrigerator, two burner stove, microwave, coffee maker with coffee, toaster oven, pots, pans, dishes, towels, linens and central heat and air. You have a living area with a futon couch that pulls out into a full size bed and your dining area and bath with a shower stall. We have a AM/FM/CD. 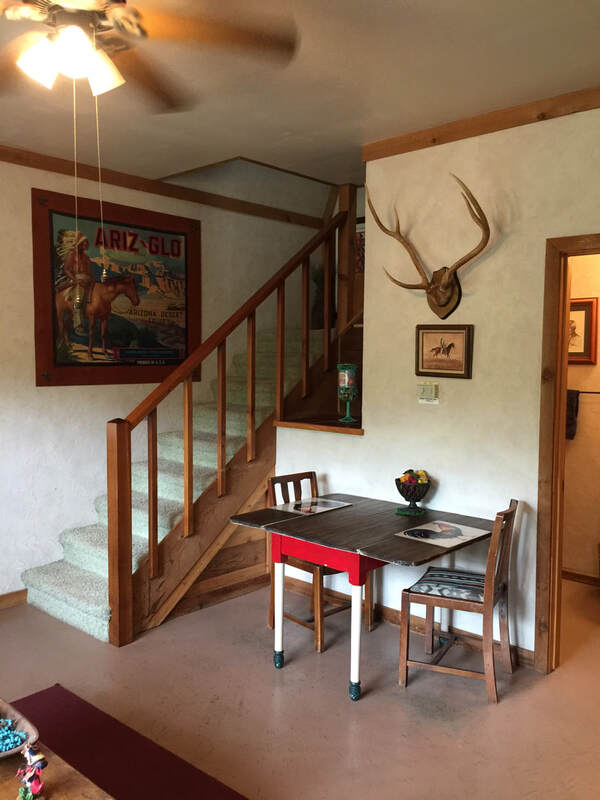 You have a propane grill provided on the outside deck and a walking trail down to the common area and the river. Large rockers are located on the downstairs deck to enjoy the outdoors.